iPad and iPad Pro vs. MacBook and MacBook Pro: Which should you buy? Deciding between a MacBook or iPad? Here's the breakdown you didn't know you needed. Pundits have gone round and round debating the merits of iPad as computer or computer as potential touch tablet, but here's the honest truth: Both can be equally powerful options for very, very different tasks. As much fun as it would be to ring up another round in the heavyweight battle that is iPad versus Mac, I say we call the whole thing off. Instead, let's focus on what actually matters: tailoring the tasks you need to accomplish with the computer that makes sense for those tasks. The iPad and iPad Pro can be an incredible device for artists, those that need a portable cellular connection, or extreme portability. In contrast, the MacBook (and by extension, MacBook Pro) laptops are perfect for those who need a super-charged multitasking machine, a compact Mac, or a permanent keyboard solution. Both can be ideal on planes, in coffeeshops, studying in classrooms, presenting in boardrooms, and relaxing in living rooms. But which one is ideal for you? Who should get an iPad? Who should get a MacBook? We'll chiefly be exploring iPad vs. MacBook here, but if you want to go really in-depth with them, we have some comprehensive reviews for you! At first glance, iPad vs MacBook might seem like an odd comparison, especially at the specifications level. But there's a lot here to compare and contrast. We'll be diving deep into how these tablets and laptops stack up, but if you want the specs, here they are. Before you get into feature comparisons, it's important to consider your budget. The base-model $329 iPad is the cheapest computing device Apple sells, but it comes with only 32GB of storage. If you're considering this iPad, you're probably going to want to upgrade to 128GB and buy some accessories like the Apple Pencil and possibly a Bluetooth keyboard. Together, that's going to run you closer to $600 — and a bit more if you're considering picking up the cellular model. That said, the higher-end iPad Pro will run you anywhere from $649 to $1229 without any accessories like the $129 Smart Keyboard or $99 Apple Pencil or AppleCare. The MacBook and MacBook Pro both start at $1299 and can be configured all the way up to $4199; they also offer more out-of-the-box hardware features (like a keyboard and trackpad). If cost is a bigger issue for you than a computer's specific features, the 9.7-inch iPad offers the most cost-effective entry point into the mobile computing space. Even if you need to purchase a physical keyboard and Pencil on the base model iPad, you'll still only spend around $600 to the MacBook Pro's entry-level $1299 price point. Apple sells the iPad in three* main sizes (9.7, 10.5, and 12.9", all with 4:3 aspect ratios), and the MacBook and MacBook Pro in three (12", 13", and 15", with 16:10 aspect ratios). What size and screen type makes the most sense for you? Read on. *Yes, there is a fourth iPad model in Apple's line, the 7.9-inch iPad mini, but we don't currently consider it a potential stand-alone computer replacement for a number of reasons. The base-model iPad's 9.7-inch Retina display is 2048x1536. Unlike the iPad Pro's 10.9-inch and 12.9-inch displays, the 9.7-inch iPad has no lamination on its display, no P3 color space, no ProMotion, and no TrueTone display. It's still a solid option, but it comes without many of the perks found in the higher-end models. Speaking of those higher-end models: The 10.5-inch iPad Pro P3 Wide Color display comes in at 2224x1668 at 264 pixels per inch (PPI), while the 12.9-inch is 2732x2048 (also 264 PPI). The 12-inch model is the largest iOS display Apple has ever shipped: While it's not quite as dense in pixels as iPad mini or iPhone 7 Plus, iPads are designed to be held further away than your smartphone, making the screens look roughly equal to the average eye. Both iPad Pro displays sport Apple's ProMotion technology, which offers a variable refresh rate of up to 120Hz; this is especially great for anyone who needs fast touch response or low-latency art or writing work. They also take advantage of True Tone, which adjusts the iPad's color temperature to match ambient light, making it look paper-white. The MacBook's 12-inch Retina display offers a 2304x1440 resolution at 226 PPI, slightly less dense than the iPad Pro's 12-inch 4:3 screen. It lacks both ProMotion, True Tone, and the P3 color space. The MacBook Pro's 13- and 15-inch displays are a little more advanced: They sport 2560x1600 and 2880x1800 displays at 227 PPI and 220 PPI, respectively; they're also brighter than the MacBook (with a maximum brightness of 500 nits), and support P3 Wide color. If it's size and display quality that matters to you, the 10.5-inch iPad Pro is the best "small" computer Apple has ever made. It packs an overwhelming amount of features into a compact and portable size. If your desk or backpack can withstand a larger machine, the 12.9-inch iPad Pro is a tad bit larger than the 12-inch MacBook, while the 13-inch MacBook Pro is larger than both (and the 15-inch the biggest of the group). In total, the devices range from 1.03 pounds (10.5-inch iPad Pro, Wi-Fi-only) to 4.02 pounds (15-inch MacBook Pro). When it comes to displays, Apple has infused the iPad Pro with the latest and greatest technology it possesses. That's not to discount the beauty of the base iPad or MacBook's Retina screens; they're still beautiful pieces of kit. But if you're doing any sort of graphics work, you'll want to consider an iPad Pro or MacBook Pro for the P3 color space alone. Add in a predisposition to gaming, reading, or drawing, and the iPad Pro's ProMotion technology far outpaces Apple's base iPad and laptop line. The base iPad runs off an Apple A10 64-bit SOC (system on a chip), along with an M10 co-processor and 2GB of RAM; the iPad Pro supercharges that with an A10X processor and 4GB of RAM. In contrast, the company's Mac line uses Intel processors with the Core m3, i5, and i7 found in the MacBook and i7 in the MacBook Pro; they have 8-16GB of RAM, respectively. All three of Apple's portable lines claim 10 hours' battery life — though some tasks inevitably require more power than others. The iPad Pro line is one of the first to feature processors that outpace modern Macs, with iMore's Geekbench tests showing single-core speeds coming in at 3935 and multi-core tests at 9299. That's thanks to Apple's A10X Fusion chip, 4GB of RAM, and M10 co-processor — it's a powerhouse package that makes everyday tasks whiz by. The 9.7-inch iPad received a slightly less powerful (but still respectable) 3254 single-core score and 5857 for multi-core. On the battery side, the iPad offers a 32.4-watt-hour battery, while the iPad Pro models have a 30.4-watt-hour (10.5-inch) and 41-watt-hour (12.9-inch) battery, respectively; the difference in battery size is due to the extra power drain when running the 12.9-inch model's larger screen, so that all sizes can sport 10 hours of battery life. The MacBook and MacBook Pro lines aren't slouching when it comes to power: They both run on Intel's Kaby Lake chipset, which optimizes performance while providing great battery life and also provides hardware support for H.265/HEVC (coming to High Sierra later this fall). The MacBook uses Kaby Lake-Y, an ultra-low-power version of the standard Intel Kaby Lake processors, so that Apple can keep the laptop's slim form factor without setting fire to your lap. The MacBook starts with a 1.2Ghz dual-core Intel Core m3, though you can choose optional upgrades to boost that up to a 1.4GHz dual-core Intel Core i7. Its base-model speeds come in slightly below the 2017 iPad Pro, with iMore's Geekbench tests reporting 3317 for single-core and 6738 for multi-core benchmarks. Apple's larger laptops run Kaby Lake in its full-powered form, starting with a 2.3GHz dual-core Intel Core i5 baseline for the 13-inch, and 2.8Ghz quad-core Intel Core i7 for the 15-inch. Depending on whether you choose 13-inch, 13-inch with Touch Bar, or 15, you can upgrade these chips to a 2.5Ghz dual-core i7, 3.5GHz dual-core Intel Core i7, or 3.1GHz quad-core Intel Core i7. In English: Even the slowest of these are powerhouse chips. The MacBook Pro is designed to be a portable pro workstation, and Apple has equipped the laptop line accordingly. Battery life for all three is benchmarked at a respectable 10 hours for Wi-Fi browsing, though power users may see a reduced number — I routinely get 6 to 7 hours out of my 13-inch MacBook Pro, but I also run something like 20 open apps simultaneously, at almost-max brightness. The cheapest iPad Pro is more powerful than the entry-level MacBook. This isn't just a figure of speech anymore: It's reality. It can run professional graphics editing programs like Affinity Photo without a hitch; in contrast, the MacBook can be made to stutter when opening a many-layered Photoshop document. That's not to say the MacBook is completely outclassed: It's an excellent Mac laptop for basic browsing, email, and writing. But if you need a more powerful base-model computer rather than traditional word processing tasks, the iPad is that device. When it comes to pro-level power, the iPad hangs in the race with the MacBook Pro for a surprising number of tasks — including image rendering — but Apple's top-tier laptop is still the king of multitasking pros. Battery life, on paper, is very similar between all three computers, but I give an ever-so-slight edge to the iPad and iPad Pro here: Apple's power management is second to none, and — for all of its frustrations — iOS's multitasking limitations and frozen background apps ensure that you're not accidentally burning battery. Here's where the decision gets more personal: How do you like to interact with your computer? The iPad and iPad Pro's multitouch and pen interface has a wildly different feel to that of a traditional laptop, and it's arguably designed for different tasks than your average Mac. You interact primarily with an iPad through its multitouch display. You can tap, swipe, pinch, and otherwise gesture your way though the entire operating system and all of its apps, with a virtual, predictive keyboard when it comes to text entry. This opens up a slew of additional touch-based shortcuts for both the operating system and third-party apps, but it comes at the expense of having the traditional mouse-and-pointer input. You can augment your iPad or iPad Pro with an external physical keyboard — a must for anyone who relies on text entry — and the Apple Pencil, the company's drawing and writing stylus. If you plan to do any handwriting or drawing, the Pencil is a must-have: It's one of the best stylus options on the market, and works flawlessly with the iPad and iPad Pro. The MacBook and MacBook Pro both take after laptops past, with a trackpad and physical keyboard, though each offers specific twists on the genre. The MacBook and entry-level MacBook Pro offer a Force Touch trackpad with support for Force Click and gestures, allowing for more subtle and powerful interactions; they also sport a built-in full-size keyboard with new butterfly switch-style keys. Upgrade to the MacBook Pro with Touch Bar, however, and you'll get the equivalent of a tiny multitouch iOS display where your hardware function keys once lived. These virtual function keys adjust and change depending on the app you're in and your personal preferences, offering you dynamically changing options for tab switching, autocorrect, frequently used app commands, and more. While each input has its own pros and cons, I find that this is largely a personal preference. Do you feel like you can get the majority of your work done on a multitouch device without a mouse and pointer? (Conversely, will you be able to do all your work without the benefit of directly manipulating your canvas or drawing on it?) It's an answer only you can find. You can add a keyboard to the iPad Pro and get close to a MacBook experience. You can't add a capacitive display to the MacBook. Both the MacBook and iPad are one-port devices. The MacBook features a single USB-C port for charging and peripheral connection, while the iPad uses Lightning for power and accessories. In contrast, the MacBook Pro offers an array of 2-4 USB-C ports, depending on the model. Though the number of uses for it has grown, both the iPad and iPad Pro still ship with a single proprietary Lightning connector. With it, you can use adapters (sold separately) to interface with non-powered USB devices — principally cameras and SD cards — to retrieve photos, connect to microphones, and more. It can also connect to VGA and HDMI displays. Technically, the iPad Pro line has a "second" port: the Smart Connector, which provides power to dockable accessories. But because that category currently just includes keyboards and power docks, I'm less inclined to call it a true port so much as a proprietary charging solution for accessories. The MacBook is also a one-port device. But unlike the iPad Pro, the Mac makes it simpler to use third-party peripherals — with only one port, that ability was vastly reduced (and sprung a veritable fountain of jokes about adapters as a result). Even with only a single USB-C port, however, you can still do a lot with the MacBook — but yes, you will need an adapter (or hub) to work with older USB devices and accessories. The MacBook Pro addresses this issue somewhat by providing 2 USB-C/Thunderbolt 3 ports on its base model; 4 ports on every Touch Bar model. You'll still need adapters for older USB devices, but you aren't limited in your adapter use by needing a charge. Peripherals and accessories are where the Mac has long shined, and this contest is no different. While you can do a lot with an iPad Pro, if you need the flexibility multiple ports provide — and no restrictions on the type of accessories you can use in said ports — you'll want a MacBook or MacBook Pro. This is the sticking point for most iPad vs Mac decisions: Which is better for getting my work done — iOS or macOS? The answer depends on a number of factors, and as with interfacing, it's a highly personal decision. All iPads ship with iOS 11, Apple's latest mobile operating system. iOS has become increasingly advanced for iPad users over the years, and iOS 11 is no different. It brings an full-featured multitasking system to the tablet, offering drag and drop, multiple window interactions, and an instantly-accessible Dock. The A10 and A10X processor, when combined with iOS and graphics framework Metal, also lets third-party developers to build even more complex apps for iPad users — including AR experiences. In the past, the iPad has been dinged for its apps being less powerful or complex than their Mac counterparts; that statement is increasingly no longer true. The MacBook and MacBook Pro both run Apple's latest laptop and desktop operating system, macOS High Sierra. It's a multi-user, multi-window operating system that combines the power of a traditional UNIX environment with a full-on graphical user interface. The Mac is powerful and flexible as a result, but that flexibility can mean less focus within single apps; macOS is also entirely built around the keyboard and mouse interface; working with a stylus requires an external tablet solution (or being really good at painting with your fingers on the Force Touch trackpad). iOS may have started life off as the "simple" operating system, but it's evolved in such a way that millions of people now work directly on an iPad. If the software you need is available on the App Store, it's easier than ever to spend your work or school day with a multitouch device. That said, there's a reason why macOS has been long-favored by professionals: Its multitasking workflows and powerful third-party programs allow those comfortable with a keyboard and mouse interface to work and study the way they always have. Coding professionals, too, will likely favor the Mac for programs like Xcode (which aren't available at all on the Mac). If you need advanced multitasking options and software that's not available on the iOS App Store, the Mac is the route to take. Apple offers a variety of services for both its iPad and Mac users, including app stores, cloud backup, music subscription, and more. While both iPad and Mac have an Apple-run App Store, the iPad cannot even consider running non-App Store apps unless they've been directly shared through an enterprise program — they must be sandboxed and fit Apple guidelines for security and performance reasons. That hasn't reduced the availability or quality of apps, however: iPad users can download millions of apps for their devices, including productivity software, games, apps for creative professionals, and more. It increasingly contains modern takes on classic apps like Microsoft Office, Affinity Photo, Adobe Lightroom, Coda, and Pixelmator, as well as unique apps all its own, like Procreate and Adobe Comp. The iPad also hooks into Apple's free iCloud service, which provides users with wireless sync to all your Apple products; you can pay additional fees to back up your photos, subscribe to Apple Music, and more. I mentioned Apple's Mac App Store above — it works similarly to the iOS App Store and provides secure access to all kinds of games, productivity, communications, and entertainment apps. You're not restricted to playing in this sandbox, however; you can also download apps from the web, other app stores like Steam, or your favorite developers. This includes desktop-class apps unavailable to iOS, like Xcode, Final Cut Pro X, Adobe Creative Cloud, and many more. Requisite security note: Only download apps from developers you recognize, and never open unknown files or app types. Like the iPad Pro, all Macs come with iCloud support baked into their operating system. On the software and services side, it comes down to the apps you need to run for your school or work career. There are a ton of great programs out there for both iOS and macOS, but the Mac does edge out in front when it comes to boutique software — especially finance- or office-related. Conversely, iOS has seen the most innovation in graphics work, especially with the introduction of the Apple Pencil as an input tool; users planning to draw or sketch should seriously consider the iPad over a Mac. Who should get an iPad or iPad Pro? The iPad isn't your average laptop, and it's all the better for it. As a multitouch-first computer, it can help people for whom traditional computers have always been inaccessible, intimidating, or otherwise off-putting. Its hardware keyboard accessories provide the option for more traditional text input, but it's not required — only provided if you need it. The tablet is not only as powerful as many laptops, it can empower more people to get more out of it, thanks to the directness of its interface and simplicity of its operations. For graphics professionals and students, the iPad can be an even more powerful purchase thanks to the Apple Pencil, eliminating the need for digital design tablets and spiral-bound notebooks. Not sure which tablet to buy? Check out our iPad vs iPad Pro showdown! 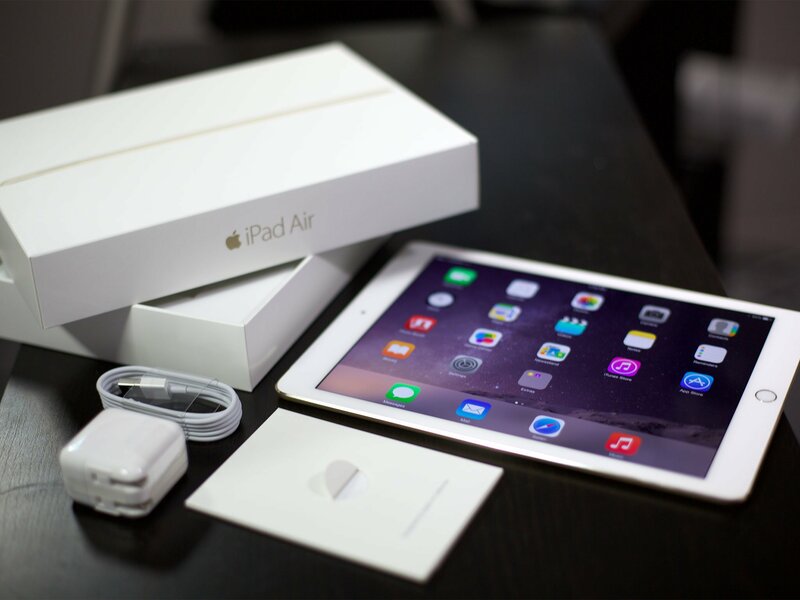 The iPad line is also ideally suited for people who want the absolute lightest computing experience possible for use around the house or while traveling. For everything from gaming to working (especially with the Pencil and keyboard) it can accomplish everything but the most intense computing tasks, in the most highly-portable form factor yet devised. Who should get a MacBook or MacBook Pro? The MacBook and MacBook Pro lines are best suited for people who are used to a traditional computing experience, be that advanced keyboard shortcuts, multiple users, or even Terminal. The MacBook blends the traditional laptop experience with portability and power, giving users a lighter-weight option without going for an iPad, while the MacBook Pro targets high-end professionals who don't mind a slightly heavier machine in exchange for Apple's best portable computing power out there. In addition, students who rely on aging university software and websites, as well as those who plan to do more numerical and typing work, may find that a MacBook better suits their needs than that of a tablet. If you absolutely have to have a laptop, but you want the most minimal laptop possible, look into a MacBook. And if you need more power for your job or school work, check out the MacBook Pro. If you're still having trouble choosing between an iPad Pro or one of Apple's laptops, jump into our forums and we'll try to answer your questions and help you out.